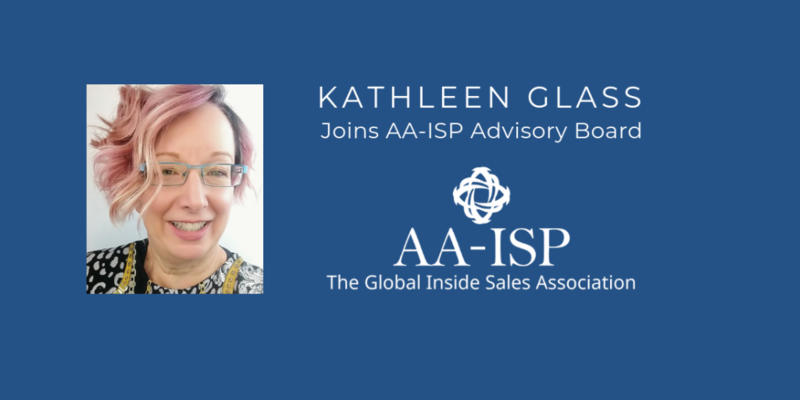 Kathleen Glass, CEO of sales and marketing consultancy Oinkodomeo and strategic advisor for Wyecomm, has been named to the AA-ISP Advisory Board. AA-ISP, the Global Inside Sales Association, is committed to cultivating and maintaining relationships that aid in the advancement of our profession. AA-ISP Advisory Board Members play a key role in that goal, sharing a common commitment to our mission of raising the level of professionalism and performance within Inside Sales. The American Association of Inside Sales Professionals (AA-ISP) is an international association dedicated exclusively to advancing the profession of Inside Sales. The association engages in research studies, organizational benchmarking and leadership round tables to better understand and analyze the trends, challenges, and key components of the growth and development of the Inside Sales industry. Our mission is to help inside sales representatives and leaders to leverage our information and resources through published content, local community chapters, national conferences, career development, and an Inside Sales accreditation program. Learn more about the San Diego Chapter and Events. I Stumbled Upon Your LinkedIn Profile	Why is B2B sales and marketing alignment important?